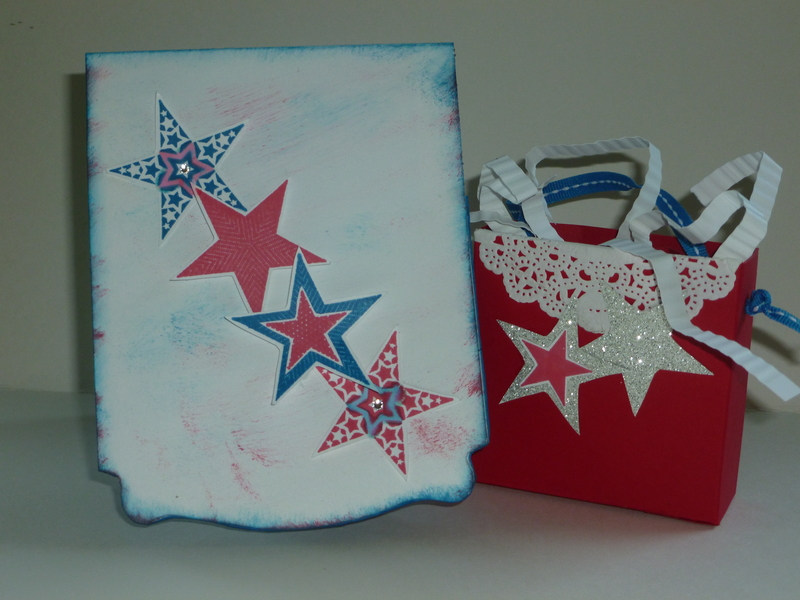 The inspiration for this card was spending time with the family watching the fireworks. I tried to create the fireworks on my card. 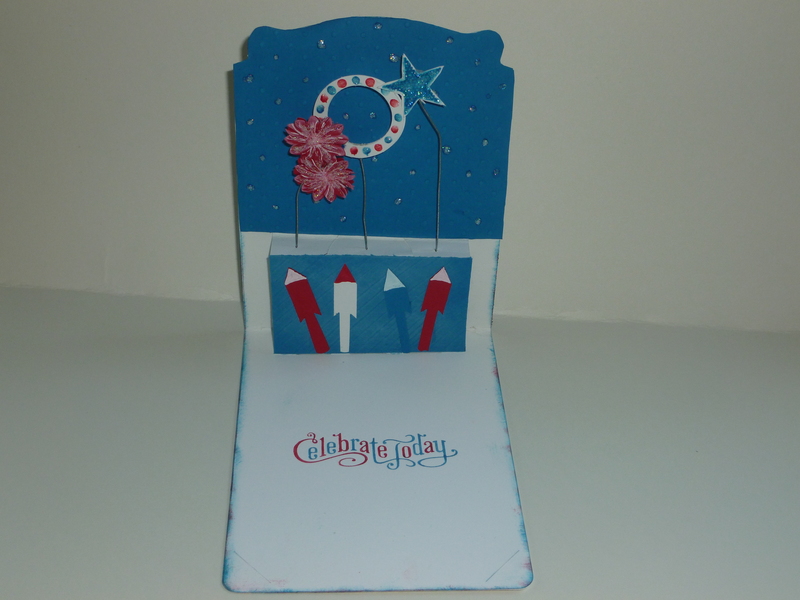 Front of card with a gift bag. Depending on the size of the gift bag you make you could add stickers, sidewalk chalk. bubbles or maybe even a box of sparklers or pops (if that’s allowed in your community). When you open this card up it pops up. I like cards that move or pop out how about you? I really love using my Pop ‘n cuts die cuts if you haven’t used them before give them a try.